We have now released the new VaDia Suite version 1.8! You will need to have the “updater license” to download the new version. All VaDia Suite users have 12 months free updates from when they install VaDia Suite. After that time you will need to pay an updater fee to be able to download new versions from the BioControl server. All VaDia Suite users can always download “bug fixes” for their current version. See bottom of this article for contact information to update your license and/or to purchase the advanced module. This news article gives you some information on some of the new features in the new VaDia Suite version. It is now possible to add a “visit” to a customer to record the time of the visit to the farm, and reason etc. You can also save and link your report to the visit to easily find saved reports. There is a new tab under each customer with information about each animal recorded on the farm. The animals listed here have either been added via a MTT test animal number registration or the new “Milking Registration” window. It is possible to click on an animal and see all Milking Registrations and MTT test linked to this animal to compare with previous testing. MTT tests and Milking Registrations can here also be deleted. 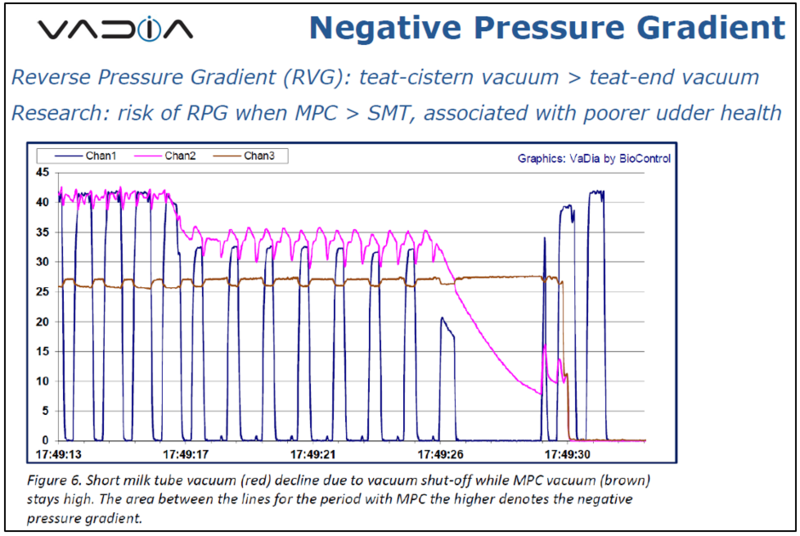 We have added a new marker to determine the end of main milking period for mouth piece chamber channel 2 (MPC2). So we now have markers for “start of overmilking for mouth piece chamber channel 1” and “start overmilking for mouth piece chamber channel 2”. When a MTT test is run it is possible to “pick up” a cow that has been registered during milking (Milking Registration) to get the cow number and milk yield. Click on the “pluss” to see a list of recorded cows. 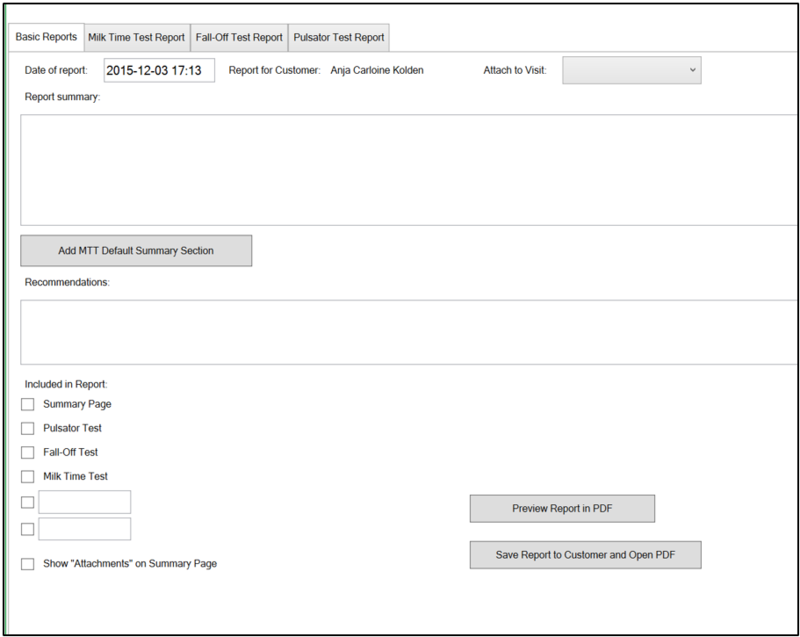 It is now possible to choose more information for the report (Basic Reports Tab) and to preview reports and saving it to a visit with a customer. Vd5 files can also be uploaded and linked to a customer visit. 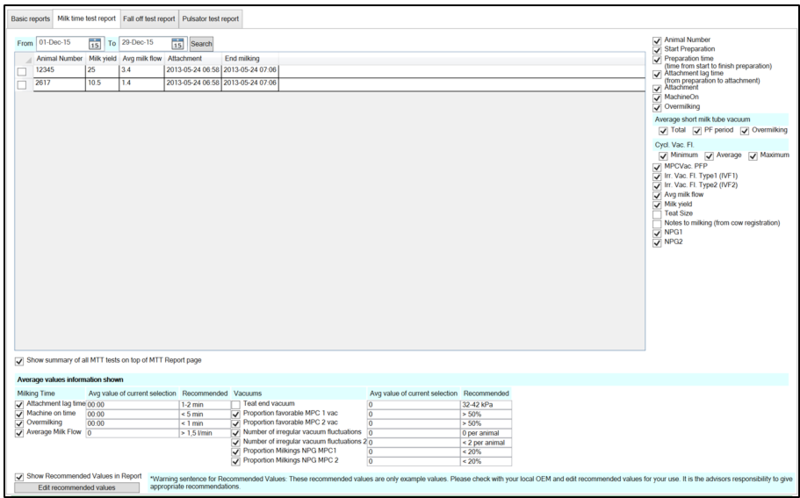 You can search for dates when MTT analysis were performed and choose which should be added to the report. Right click on images to open in new tab. While vadia is recording data, register information about the milkings (each cow being recorded by the VaDia) under Analyses with the function “Milking Registration”. 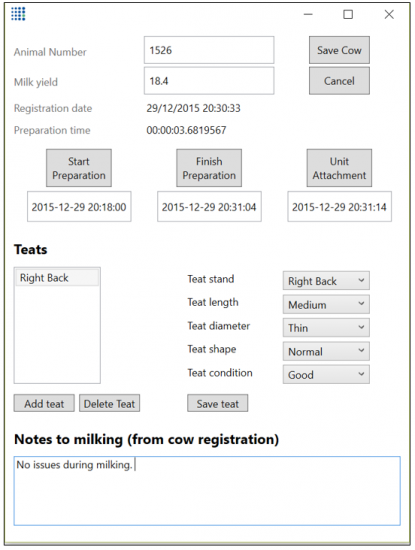 Here you can add notes to the milking, record teat information, register preparation times, etc. If VaDia is logging in Normal mode, continue to perform Milking Registrations. After, when you get to your PC, analyze VaDia file and link different sections to your Milking Recordings. After you have performed all analyses, go to reporting and create report. You can also link your report and vd5 file to the customer visit. To download the new VaDia Suite version 1.8 you will need to have either registered your VaDia Suite license in the last 12 months or have paid your updater license fee. 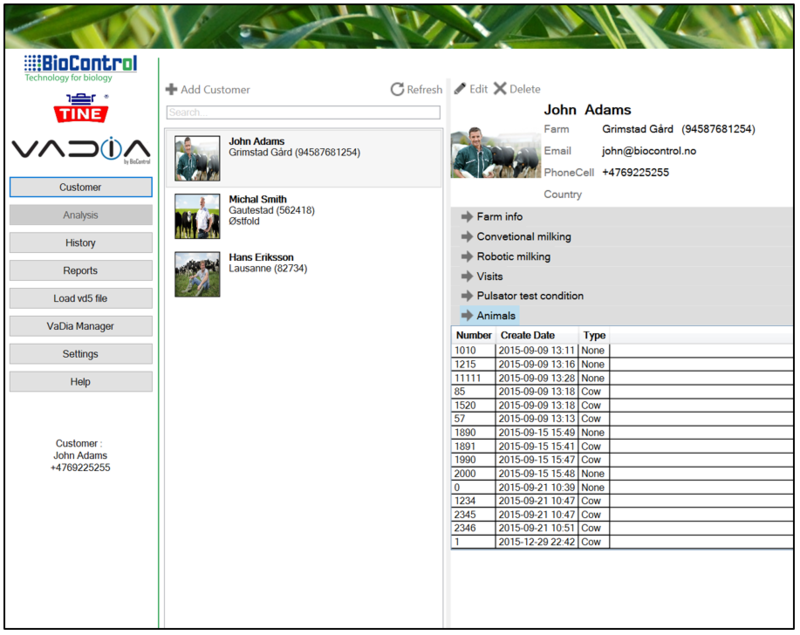 When you pay your yearly license fee your VaDia Suite will automactically connect to the BioControl server to look for new updates and allow you to download downloads with new features. For more detailed information about VaDia Suite and the new version, see the VaDia Suite user manual by clicking here.